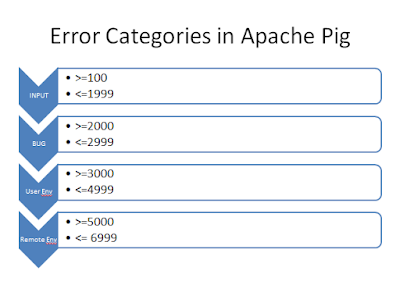 When you are working on Apache Pig you might see some error codes with some error description. I would like to discuss those error codes categories so that It becomes easy to progress for error resolution. 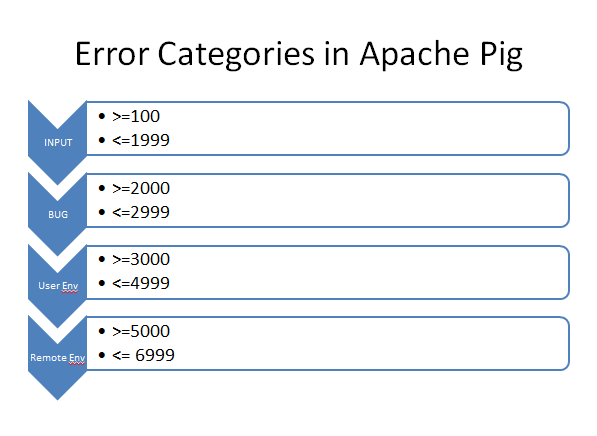 Apache Pig categorizes error codes into four groups . They are INPUT,BUG,USER ENVIRONMENT and REMOTE ENVIRONMENT. If error code is greater than or equals to 100 and less than or equals to 1999 ,They fall in INPUT group. 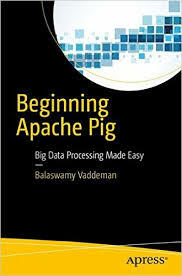 Error code 1000 is thrown if Pig Latin script input is not parse-able. and also Error Code 1005 is thrown when we are trying to describe relation which does not have a n input schema. If error codes is greater than or equals to 2000 and less than or equals to 2999. They fall under BUG group. all of these are run time errors . For example Error Code 2009 is thrown when copy operation is failed . If error codes is greater than or equals to 3000 and less than or equals to 4999. They fall under USER ENVIRONMENT group. For example : Error code 4002 is thrown when program fails to read data from a file. because there is a problem in User environment. If error codes is greater than or equals to 5000 and less than or equals to 6999. They fall under REMOTE ENVIRONMENT group. For example error code 6002 is thrown when out of memory occurs on cluster.